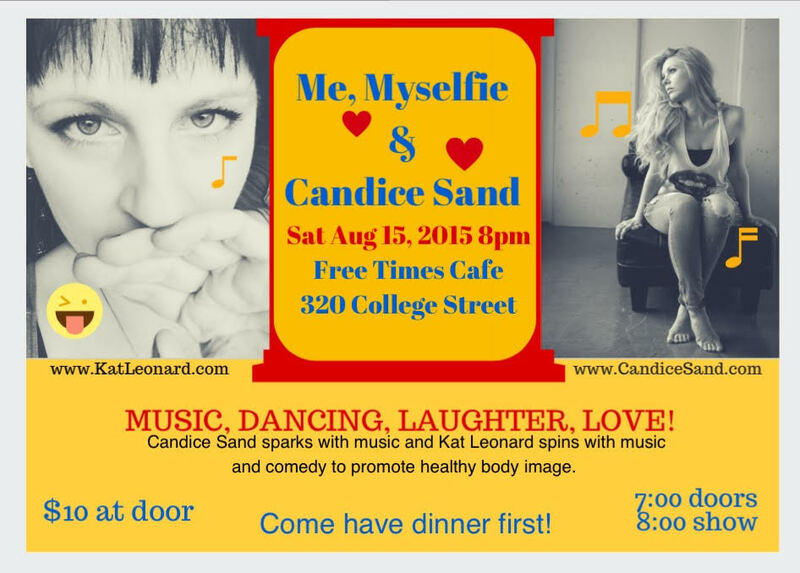 New Show Announced: Me, Myselfie & Candice Sand! August 15th! It is time for the next rendition of Myselfie, with more songs and stories! And guess who else!!! CLICK FOR VIDEO! Something to cool you off in the hot summer daze… this is one of my fave Candice Sand songs, Go On, featuring JRDN. Some of the lyrics: We can do anything! Get up and Go on! Proceeds from this event will go toward the National Eating Disorder Information Centre (NEDIC) which promotes healthy lifestyles as an alternative to dieting and the destructive cultural emphasis on appearance.